Join.Me is a simple tool for collaborating online, especially through screen-sharing and file sharing. It works using your browser and can even work on the iPhone, iPad, Android phones, and desktop computers. It shines by its simplicity and ease of use. Its main feature is screen-sharing. It also allows file sharing and other features for collaboration. JoinMe is also a decent free webinar and online meeting tool that allows up to 250 participants for free. It uses VoIP for the Internet calling in conferences and also allows chat. Free screen-sharing and file sharing. Free conferencing with up to 250 users. Allows voice and video conferencing. Very easy to use, and browser-based. Works inside the browser, and has standalone apps for browsers and apps for smartphones. Has a free plan with limitations and a couple of paid plans with additional features. You are a presenter and want to start a session for inviting participants and share your desktop because you have things to show. There are two options: share and join. When you click on share, you will be asked to download a small application and install. Once you run the app, a small panel will show on your desktop with a handful of buttons for controlling your sessions. Each time you run it, a 9-digit number will be shown, which is your session ID. You can send this by any means to your participants, or you can email them, a feature which you have in the app itself. To participate in the session, your friends will go to the join.me webpage and enter the session ID they have been given before click enter. They are instantly given access to the session without having to download and install anything. It runs in the browser itself. You can upgrade to a paid pro version with additional features like window sharing, unified audio and international conference lines, presenter swapping, meeting scheduler, meeting lock, user management and reporting. The paid version is $19 per month, but most users find satisfaction in the free version, as the features offered in the paid version are not really worth the upgrade, unless there are features you badly need. Update: Join.me has updated the software such that it is mainly based on your browser, while of course keeping the installed versions. Once you enter the join.me site, the app automatically installs on your computer. If they find this easier, I find it a bit intrusive and somewhat ill-mannered. Anyhow, once the app is downloaded, enter your download folder and run it. A handful of features have been added to the tool. 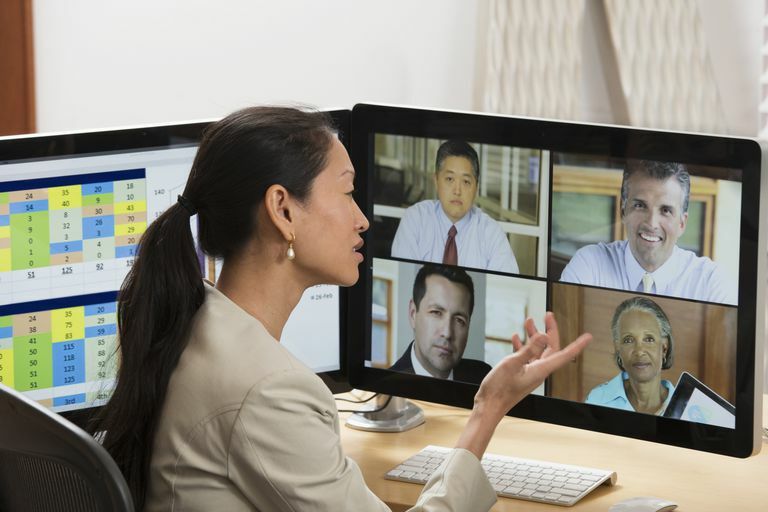 It now also allows you to carry out video conferencing, conference recording, one-click scheduling, and presenter wrap. Read more on how to organize a webinar. Who Can Participate in a Skype Conference Call?